Summer time in Ireland is always a bit hit and miss but this year more than ever, even though we didn't get the worse weather it just seems to have flown by. Now that we are in the last few days of August our priorities have severely changed from planning holidays and outfits to focusing on appropriate work wear and college attire. I for one love Autumn. I love knitted jumpers, hot chocolate beside the fire and watching the X Factor curled up in a cozy blanket. But my favourite part of all is Autumn fashion. As I was browsing online looking at the latest trends I of course had to check out Ted Baker's A/W collection. I have always been a fan of Ted Baker and my love for the brand grows more over time. As I was browsing I stumbled across the Ted Baker Botanical Trail Collection exclusive to John Lewis. I thought the collection was beautiful and I love how floral's were brought into this autumn collection. It has that perfect autumnal vibe that we all want in out A/W wardrobe but adding floral's in deep navy and oxblood makes it the perfect collection for people like me who aren't quite ready to let go of summer. 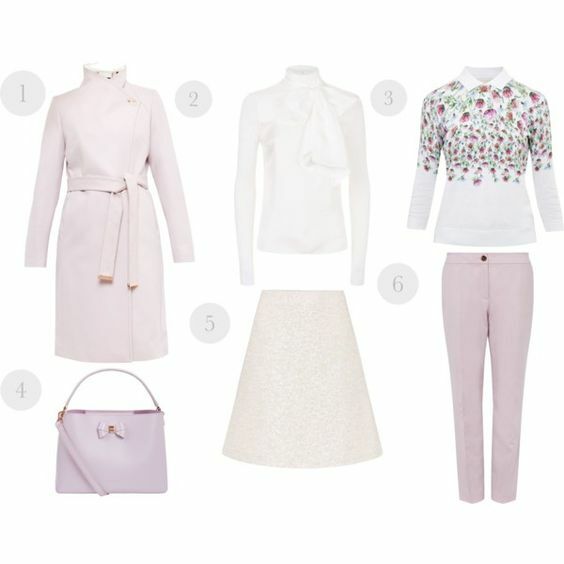 I always like to take inspiration from latest collections while staying true to my own sense of style and this is another reason why I love Ted Baker they always have the perfect blush, creams, whites and grey's in luxury knitwear which work very well in the winter wardrobe. As you can see no matter what season it is blush and cream always have a way of making it into my wardrobe. What are your favourite wardrobe staples for autumn winter?